Our family loves sweets… and since I enjoy baking, we usually have at least 2 different types of baked goods in our pantry at all times. 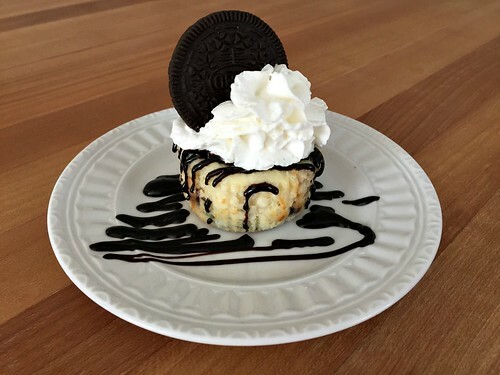 Even still, my kids will often choose an Oreo cookie for dessert over any other homemade option… unless it’s a dessert with Oreos in it! 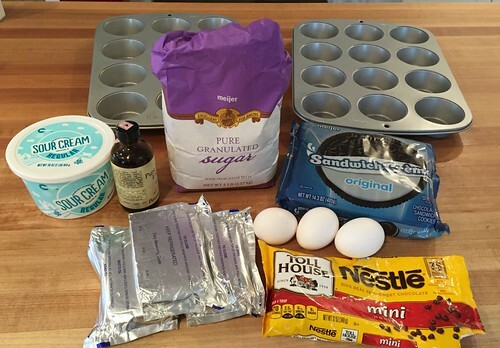 Today’s recipe for easy Oreo Cheesecake Cupcakes is so quick and simple that I can actually have the cupcakes ready for the oven before it finishes preheating. They are a great make-ahead dessert option and they travel really well too (a bonus for upcoming holiday parties)! 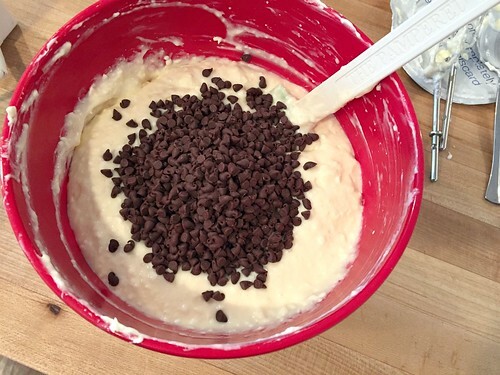 Plus, you can really “dress them up” with chocolate sauce, whipped cream, or other favorite toppings. They are pretty much the perfect dessert for any meal, any time of day, all year long (at least in my cheesecake-loving opinion). 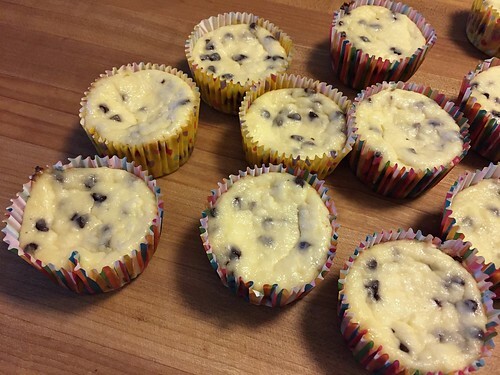 Line two 12-cup muffins tins with papers and place one cookie in each muffin cup. 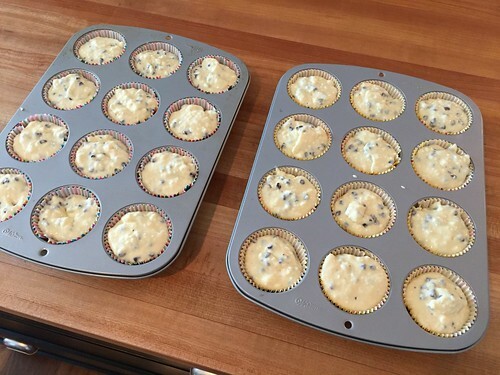 Bake in preheated oven for 20-25 minutes or until middles are almost set. Cool completely and refrigerate for a few hours before serving (the middles will sink down considerably as they cool). 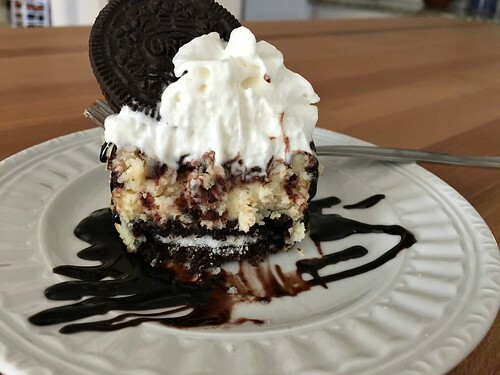 Serve with chocolate sauce, caramel sauce, whipped cream, and/or more crushed Oreos or chocolate chips. 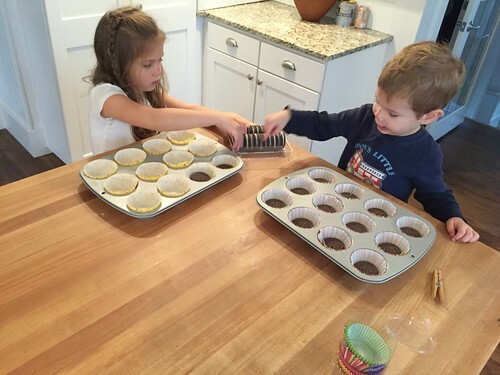 This was a fun recipe for the kids to help me with (especially since they each got to eat an Oreo). These cheesecake cupcakes are the PERFECT size for a little something sweet after a big holiday meal — and since I usually make them a couple days in advance, it’s one less thing I need to worry about the last minute before guests arrive. I’ve never tried freezing them, but they easily last a week or two in the fridge — if you don’t eat them all first! Are you a cheesecake fan? If so, what’s your favorite variety? I love Nora’s outfit–so cute! Sometimes my 2 youngest girls would play “restaurant” or “café”. With a large family we almost never ate at a restaurant, so it was always a big deal when we did. They would make a menu of about 3 simple items for their 2 younger brothers to pick. Then they would then make and serve. An outfit like this would have made it that much more official. Sweet memories! I know — I got it for $4 from a garage sale! It was such a great find and is so easy to get on and off (with velcro)! 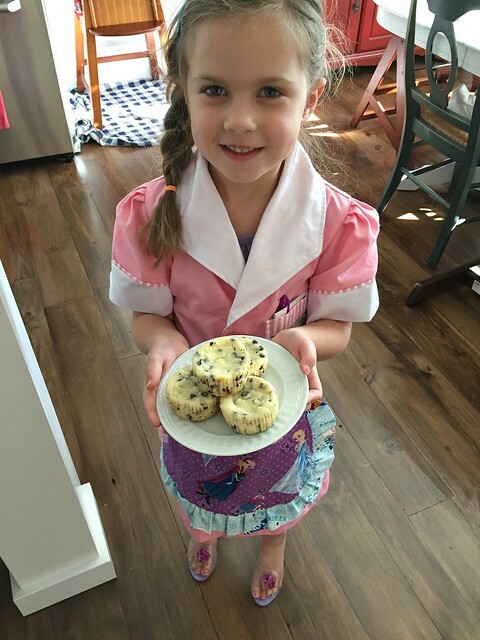 Nora is adorable serving her cupcakes! Adding the recipe to my list of goodies to make for Christmas. Thanks for sharing. thanks 🙂 Hope you and your lucky Christmas party guests enjoy these! Sounds yummy!! Will definitely make these soon. Thanks, Andrea! I can’t wait to try this! 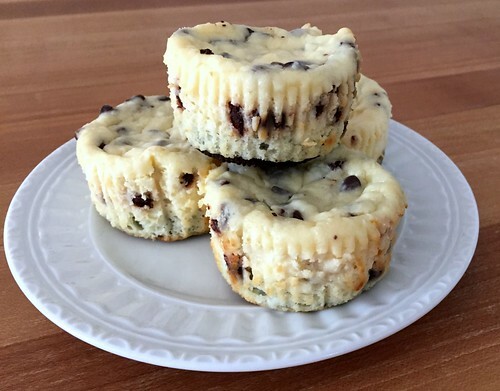 My family always made them with chocolate chip cookie in the bottom. We put a slice of cookie dough in the bottom and after baking put cherry pie filling on top! yes, I’ve tried cookies, cookie dough, and vanilla wafers before. The Oreos are a nice change for our family! 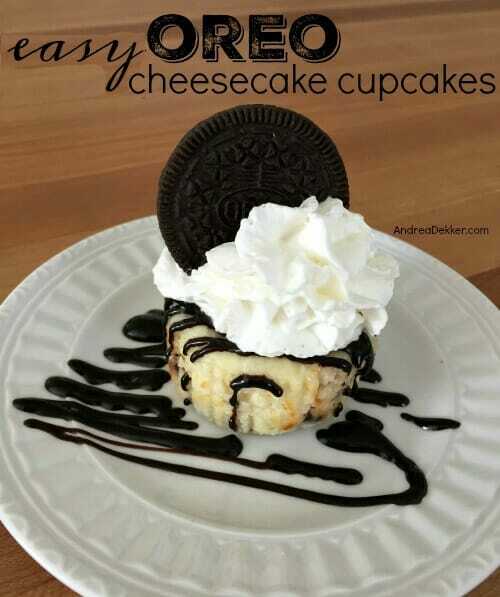 My cheesecake recipe is similar and it freezes great! 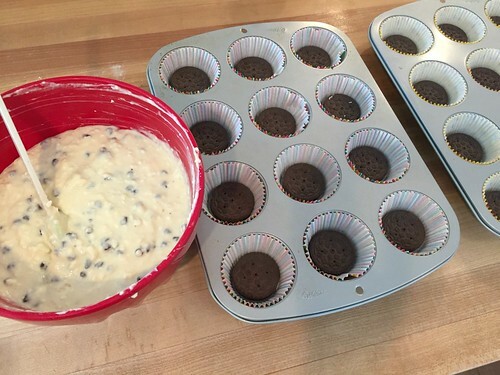 I actually like to use the mini oreos and make mini cheesecakes in my mini muffin tin. 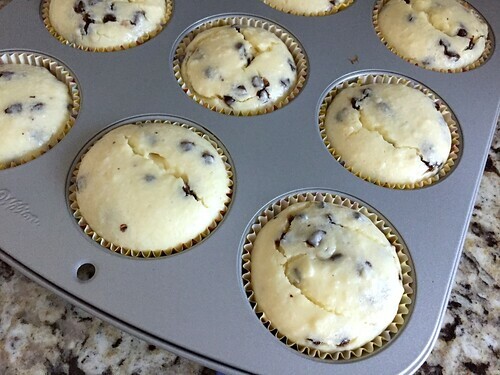 I’ll make them ahead of time and freeze until I need them. My versions on my blog! 🙂 I love chocolate chip cheesecake! I thought about doing this but wondered if they would actually be TOO small. Are they basically bite-size or do you still need to eat them with a fork?